Kodaiji Temple is generally associated with Toyotomi Hideyoshi, who rose to top due to his great accomplishment in the Warring States Period (Sengoku Period). 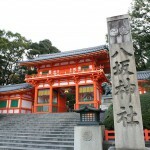 After the dead of Hideyoshi, his wife Nene built the temple to mourn for him. With the support from Shogun Tokugawa Ieyasu, the temple was gorgeously built. Hideyoshi have received support from Nene long before he rise to the top position, which is the proved of their long-relation. Thus, Kodaiji Temple is where you can feel the love of couple. Here we are going to introduce you some interesting facts and tips to enjoy Kodaji Temple. Kodaiji has 5 different types of tea rooms. Iho-an is a rural style tea room. Inside there is a one big circle shape window on the wall known as Yoshino-mado (Yoshino window). Kasei-tei and Shigure-tei are designated as an important cultural heritage, which are connected together by a dirt floor corridor. Try to find orge face files in Onigawara no Seki. Aside from those, there is also Kogetsu-an, which also has certain special characteristic. These tea rooms are not only for exhibition, but visitors can also participate in the tea ceremony as well. If you have time and want to have authentic tea ceremony experience, this is a place for you. Otama-ya is where the spirit of Hideyoshi and Nene are enshrined. Two meters below Nene’s wooden statue is their grave. There is a lavishing lacquer drawn on the pedestal of the statue known as Todaiji Makie (Lacquer). It is a representative an old lacquer craft from about 400 years ago. Can you imagine gorgeous world that Hideyoshi and Nene lived? 3.Kodaji Temple Illumination + Without Lining UP! 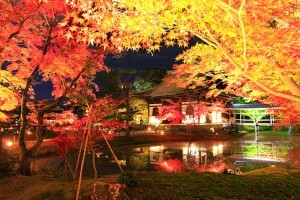 Kodaiji Temple held illuminations during March ~ May, August, and October ~ December. During those periods, the temple held a special admission at night. March ~ May is Shidare-zakura (Weeping Cherry Trees), August is Tomyo-e (Paper Lantern), October ~ December is臥龍池（Garyochi）・臥龍廊 (Garyoro). You can enjoy the fascinating in every season. 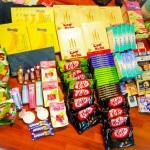 It is very popular that you could hardly enter the event. However, you can buy ticket from Entokuin, which is located nearby. If you have tickets, you do not have to line and could enter the venue right away. 4.Find Your Favorite Spots in the Garden. The garden of Kodaiji Temple is built surrounding the two ponds, Garyochi and Engetsuchi. In Spring, it is known for Weeping Cherry Tree (Shidare Zakura) and Bush Clover in Autumn. At different viewing angle, season, or time, you can enjoy a completely different atmosphere. Though most people might know this, but there is a museum that where you can see various articles of Hideyoshi and Nene. Sho Museum, located nearby Kodaiji Temple, exhibits Kodaiji Temple’s treasures and artifacts. Todaiji Makie (Lacquer) is an article that tells you the story not only of Todaiji Temple, but also of Kyoto as a whole. 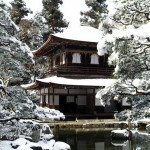 There is a discount special admission ticket for 3 sites: Kodaiji Temple, Entokuin, and Sho Museum. Let’s use the ticket and explore the history!